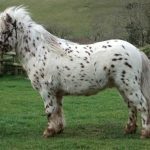 The British Spotted Pony is a rare breed of leopard-spotted ponies from Great Britain that displays clear pony characteristics. 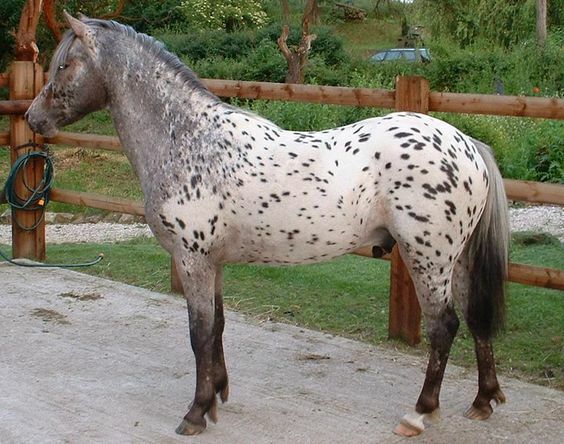 Closely related to the spotted Appaloosa breed, they have been native to the British Isles for centuries. 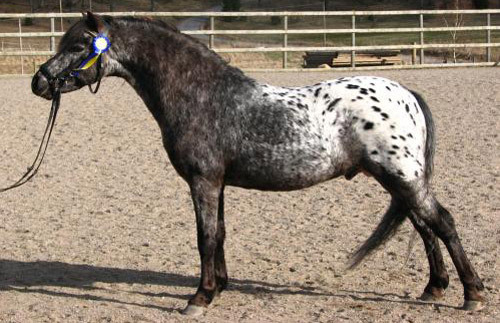 This breed also displays a powerful variation of the ‘cob’ type equines. Feeding/Diet General equine diet including hay, grass, grains, etc. 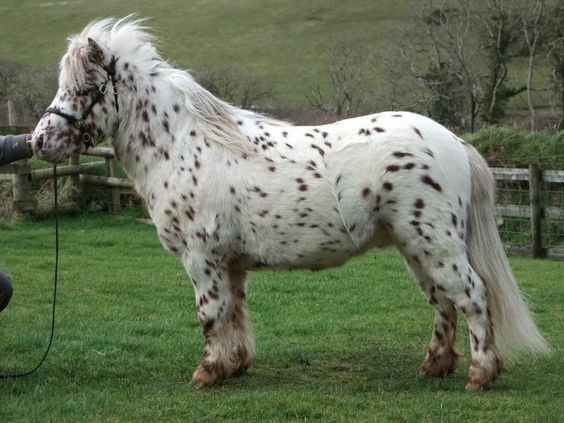 The British spotted ponies were feral in the British Isles before being domesticated. 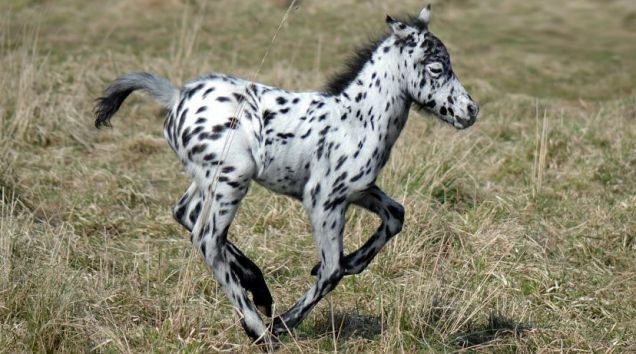 There have been records of spotted ponies being imported by the Romans. 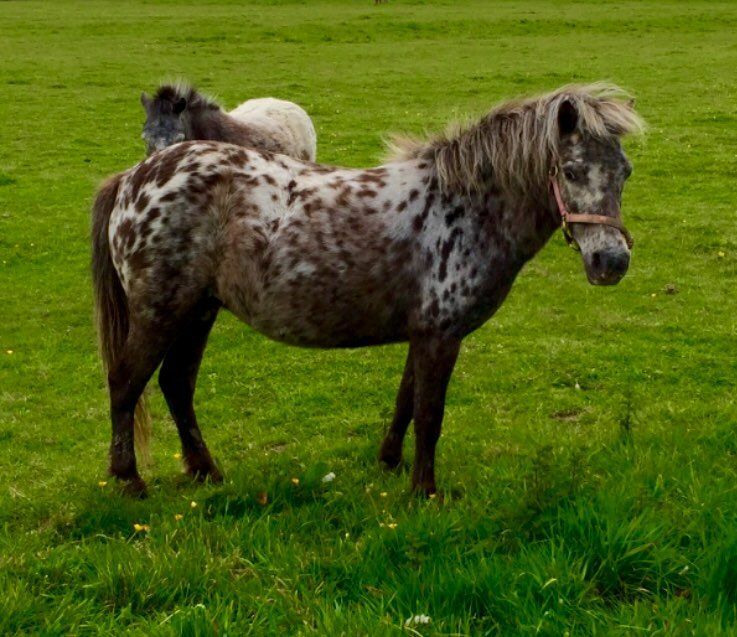 While they roamed the forests and heaths of ancient Britain since the ice age, their spotted coat pattern provided them with natural camouflage. 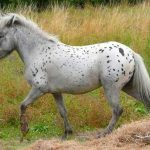 Centuries later, the British Spotted Ponies had become popular, and remained so throughout the history of the country. Because of their striking coloration, they were sold for big amounts of money. 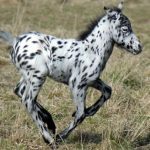 From time to time, many spotted stallions and mares, including those that were sent as gifts from other royal families from other parts of Europe, were incorporated to develop such spotted foals that would be genetically more efficient and good looking. They have also been mentioned often in the old Welsh stud books. 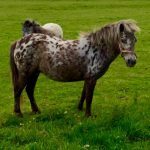 A documentation that was written in 1298 informs that King Edward I of England had a big collection of such spotted equines in his stable. 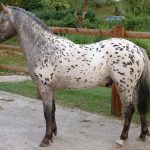 Even drawings and paintings from all over Europe created in a span of a few centuries show equines with the same type of spots all over their bodies. This pony became fashionable during the Victorian era. 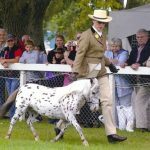 During the 1940s, both the horses and ponies were registered, while in 1947, initiative was taken for the preservation of its DNA, and the association named the ‘British Spotted Horse and Pony Society’ was founded to get these equines registered. It was around the first half of the 1940s that the breed started to gain attention from around the world. It was the time of the World War-II when these animals were exported to the USA, Canada, Australia, Germany, Netherlands, and France. Eventually, the choicest mares and stallions were lost in order to meet the high demand. To stop this, the breed association ended the export of the breed in the 1970s. 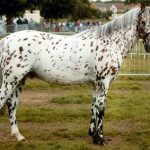 In the 1960s, one more leopard-spotted Danish breed, the Knabstrupper, was imported by the ‘British Spotted Horse and Pony Society’ with the aim to make the coloration consistent. 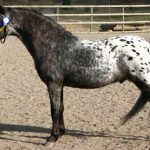 Later, in 1976, this society split into two different wings, one for the horses – the British Appaloosa Society, and the other for the ponies – British Spotted Pony Society. 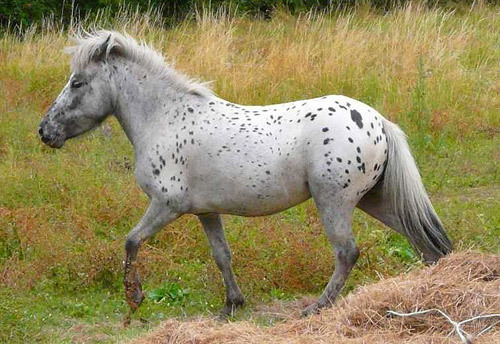 Today, larger spotted horses are registered as Appaloosas. A 19th-century painting shows a spotted horse drawing a carriage, wherein a lady is seen seated inside, while a spotted Dalmatian dog is following it. The lady is thought to be Queen Victoria. Some spotted specimens might not be eligible to get registered if they have visible striped hooves or white sclera in the eyes. 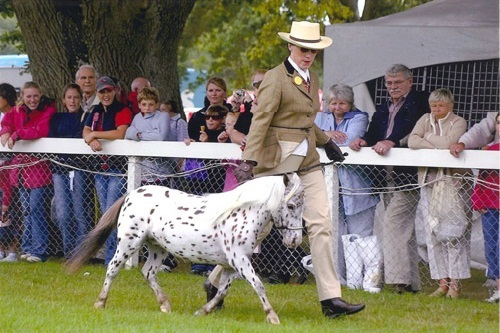 In the present day, there is a total of 800 registered ponies in the stud book. 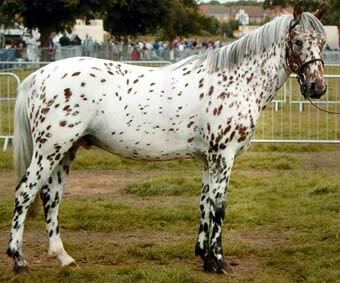 However, it is believed that, there are many unregistered British spotted ponies do exist. The smallest British spotted are the most popular, and get the highest prices.